There are 6 posts tagged goodreads (this is page 2 of 2). For this year’s edition of the Top 100 Tools for Learning (a continuing series started, hosted and curated by Jane “Duracell Bunny” Hart of the Internet Time Alliance) I decided to really reflect on my own Learning Process. I am a knowledge worker and need to learn every single day to be effective in my job. I have agreed with my manager to only do very company-specific formal training. Things like our Leadership development programs or the courses around our project delivery framework are so deeply embedded in our company’s discourse that you miss out if you don’t allow yourself to learn the same vocabulary. All other organised training is unnecessary: I can manage myself and that is the only way in which I can make sure that what I learn is actually relevant for my job. So what tools do I use to learn? The number one way for me personally to learn is by reading a book. When I started as an Innovation Manager in January I wanted to learn more about innovation as a topic and how you could manage an innovation funnel. I embarked on a mission to find relevant books. Nowadays I usually start at Goodreads, a social network for readers. I like the reviews there more than the ones on Amazon and I love the fact that I can get real recommendations from my friends. Goodreads has an excellent iPhone app making it very easy to keep a tab on your reading habits. I found a bunch of excellent books on innovation (they will get a separate post in a couple of weeks). My favourite book store to buy these books is Book Depository (please note that this is an affiliate link). They have worldwide free shipping, are about half the price of the book stores in the Netherlands and ship out single books very rapidly. Ever since I got an iPhone I have been a much keener Twitter user (see here and guess when I got the iPhone). I have come to realise that it is a great knowledge management tool. In recent months I have used it to ask direct questions to my followers, I have used it to follow live news events as they unfold, I have searched to get an idea of the Zeitgeist, I have used it to have a dialogue around a book, and I have used it as a note taking tool (e.g. see my notes on the Business-IT fusion book, still available thanks to Twapperkeeper). Yammer is an enterprise version of Twitter that is slowly taking off in my company. The most compelling thing about it is how it cuts across all organizational boundaries and connects people that can help each other. Google does not need any introduction. It is still my favourite search tool and still many searches start at Google. I have to admit that those searches are often very general (i.e. focused on buying something or on finding a review or a location). If I need structured information I usually default to Wikipedia or Youtube. I have about 300 feeds in Google Reader of which about 50 are in my “first read” category, meaning I follow them religiously. This is the way I keep up with (educational) technology news. What I love about Google Reader is how Google has made a very mature API available allowing people to write their own front-end for it. This means I can access my feeds from a native iPhone app or from the web or from my desktop while keeping the read counts synchronised. Another wonderful thing is that Google indexes and keeps all the feed items once you have added the feeds. This means that you can use it to archive all the tweets with a particular hash tag (Twitter only finds hash tags from the last two weeks or so when you use their search engine). Finally, I have also used Google Reader as a feed aggregator. This Feedburner feed, for example, was created by putting three different feeds in a single Google Reader folder (more about how to do that in a later post). The scale of Wikipedia is stupefying and the project still does not seem to run out of steam. The Wikimedia organization has just rolled out some enhancements to their Mediawiki software allowing for easier editing. The openness of the project allows for people to build interesting services on top of the project. I love Wikipanion on my iPhone and I have enthusiastically used Pediapress a couple of times to create books from Wikipedia articles. I find Wikipedia very often (not always!) offers a very solid first introduction to a topic and usually has good links to the original articles or official websites. Even though I have written earlier that I was a Google Chrome user, I have now switched back and let Mozilla’s Firefox be the “window” through which I access the web. This is mainly due to two reasons. The first being that I am incredibly impressed with the ambitions of Mozilla as an organization. Their strategy for making the web a better place really resonates with me. The other reason is Firefox Sync, allowing me to use my aliased bookmarks and my passwords on multiple computers. I love Sync for its functionality but also for its philosophy: you can also run your own Sync server and do not need to use Mozilla’s and all the sync data is encrypted on the server side, needing a passphrase on the client to get to it. It took a while before I started to see the true benefits of LinkedIn. A couple of weeks ago I had a couple of questions to ask to people who have experience with implementing SAP Enterprise Learning in large organizations. LinkedIn allowed me to search for and then contact people who have SAP Enterprise Learning in their profile in some way. The very first person that I contacted forwarded me on to a SAP Enterprise Learning discussion group on LinkedIn. I asked a few questions in that forum and had some very good public and private answers to those questions within days. In the past I would only have access to that kind of market information if SAP would have been the broker of this dialogue or if I would buy from analysts like Bersin. LinkedIn creates a lot of transparency in the market place and transparency is a good thing (especially for customers). Writing is probably one of the best learning processes out there and writing for other people is even better. WordPress is used to publish this post, while I use a simple cross-platform tool called FocusWriter to give me a completely uncluttered screen with just the words (no menus, window edges or status bars!). WordPress is completely free to use. You can either opt for a free (as in beer) hosted version that you can set up within seconds on http://www.wordpress.com or you can go the free (as in speech) version where you download the application, modify it to your needs and host it where you want. If I was still a teacher now, this would be the one tool that I would let all of my students use as much as possible. The quantity of videos posted on Youtube is not comprehensible. It was Rob Hubbard who first showed me how you could use the large amount of great tutorials to great effect. He rightfully thought: Why would I put a lot of effort into developing a course on how to shoot a great video if I can just link to a couple of excellent, well produced, short, free videos that explain all the most important concepts? The most obvious topics to learn about are music (listening to music and learning how to play music) and games (walkthroughs and cheat codes) , but there are already lots of great videos on other topics too. 1. I now have a job in which I am tasked to try and look ahead and see what is coming in the world of enterprise learning technology. That is a broad field to survey and I have been forced to generalise my knowledge on the topic. 2. I have become increasingly frustrated with the teacher led pedagogical model that all Virtual Learning Environments use. I do believe that VLEs “are dead”: they don’t fully leverage the potential of the net as a connection machine, instead they are usually silos that see themselves as the centre of the learning technology experience and lack capabilities to support a more distributed experience. 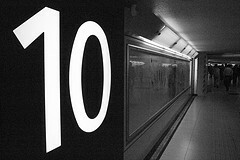 Previous versions of my Top 10 list can be found here for 2008 and here for 2009. A big thank you again to Jane for aggregating and freely sharing this hugely valuable resource!